February started just like any other month. I was making somewhere between $2-$5 per day and was reluctantly applying to jobs regularly. I hated to go back to a regular job, but it wasn’t looking good and money was running out. My thought process was that I would get a job and continue to work on my online business. After all, I was having SOME success. I REALLY didn’t want to do this, but I was forced into it. One day, I was scrolling through Facebook and it recommended that I join a group. “#Felons are humans”, it read. If I can post my website to the group, maybe I’ll see a bump in traffic. I sent a message to all three administrators of the group and waited. A few hours later, one responded and said I could share my website. The next day I saw a nice increase in earnings. Then on Feb 12th and February 13th I saw a nice bump to about $28 each day. I did the math in my head…. That is, of course….if the traffic held up. My girlfriend and I had a talk and determined I COULD NOT work on Valentines day. Got done with dinner and came home around 9:00pm. My girlfriend and I laid down to watch a movie. I begged her to let me check how the website was doing. I opened up my Google Analytics account…. This is an image of my real-time traffic stats on Valentine's day at 9:45pm. WHAT IS HAPPENING RIGHT NOW??!?!?! Wait, it has to be right, I didn’t change anything. 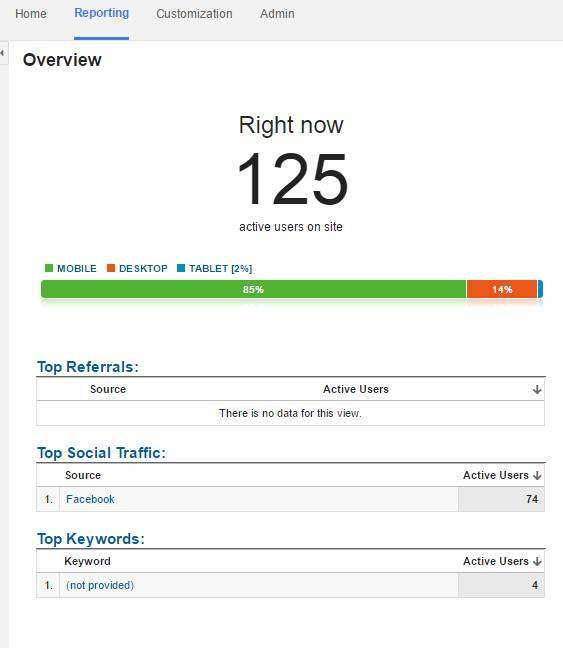 If I have this much traffic then…..what about my Google Adsense account? I showed my girlfriend the earnings and my heart started to race again. She rolled her eyes at me, then nodded in agreement. If you have a significant other, they must be supportive while you go through your online business journey. There will be a lot of really crappy days, they will help you feel better. After 20 minutes, I figured out what was going on. The jobs for felons page I posted in that Facebook group…. In a panic, I called my hosting provider and changed hosting plans to handle the website traffic. Then, I did the most important thing I could have possibly done. I redesigned the page that was currently going viral and focused on optimizing it for ad revenue. Over the coming days, the traffic didn’t slow down. In fact, it sped up. And with it, so did my earnings. I made a website that could let me maintain my FREEDOM. Granted, I wasn’t able to live off of this income alone, but it was enough to help me stay self-employed. The website had gone viral on Facebook, that’s great, but it won’t always be viral. Knowing this, I did something incredibly important. I REINVESTED a ton of the money my website made to make it even better. When your website finally starts to make money, reinvest the earnings to propel your businesses growth. I redesigned where my ads were on the pages. I focused on getting other websites to link to me. And then the income became more consistent. After when the viral aspect wore off, I was making around $50 per day. I kept tweaking things and even tried advertising my website. Things were going along smoothly. And then April of 2016 happened….